Chief revenue officer Hamish Nicklin speaks to Maisie McCabe about his strategy to win back advertisers. Soon after Hamish Nicklin started at The Guardian’s office in King’s Cross, Richard Kerr, chief financial officer of Guardian Media Group, swung by to say hello. But it wasn’t all pleasantries. Kerr wrote the publisher’s financials for 2015/16 – including its eye-watering pre-tax loss of £69m – on the whiteboard in the meeting room next to Nicklin’s open-plan desk. Fast-forward three months and the numbers are still there. Nicklin says he’s not going to rub them off until they improve. The fading marker pen is a great example of the determination with which Nicklin has approached his new role as chief revenue officer at Guardian News & Media. And – after three months of taking in the task ahead – he is finally ready to share his plan. There was a lot for the former UK managing director of AOL to get his head around. The newspaper industry had thought revenues had reached a floor but was hit by a severe drop in print ads this year as brands such as Tesco slashed spend. Moreover, programmatic auctions driving down costs and the gravitational draw of the tech giants meant that The Guardian’s supposed saviour, digital ad revenue, actually declined by 2.3% to £81.9m in the year to April 2016. Group revenue fell 3.7% to £209.5m. In January this year, editor-in-chief Katharine Viner and chief executive David Pemsel announced a three-year plan, part of which is cutting costs by 20%. Last month, The Guardian began to shrink its US workforce by 30%. Nicklin says the "challenging" US market forced them to "make some decisions". However, he says the decisive action is an example of the new, more commercial Guardian: "The old Guardian might have gone – let’s give it another six months." One option in the UK would be to pool print ad sales with the wider industry. Nicklin accepts The Guardian needs to "look at" such a move but insists his job is to "make it as hard as possible to make the decision to do that". And he would rather focus on the current three-year turnaround plan. He insists print is "still really im-portant" despite speculation about The Guardian going online-only and contrasts the direction of the ad market with the continued "human demand" for the newspaper. Nicklin believes he has three challenges to overcome. Number one is Facebook and Google and the fact that the industry’s acceptance of "rubbish click-through rates" suits them – something he should know about after nine years at Google. Linked to that is the rise of programmatic and brands targeting eyeballs regardless of environment. In order to meet both of these, Nicklin will need to overcome the third – improving The Guardian’s standing as a partner. "I think advertising is broken because we’re focused on these short-term metrics like click-through rates," Nicklin explains. "And that bugs the daylights out of me because there’s so much more to what we do in advertising than getting people to like or share things. We change behaviour – we’re confident because we’ve seen enough examples that the relationship we have with our readers, our context and our environment are such that we can get our readers to do things. What do you want our readers to do?" To enable this new way of working, Nicklin has integrated content arm Guardian Labs into the main sales force and restructured it into multidisciplinary, agency-facing teams. UK commercial director Nick Hewat is recruiting business partners to run them. Nicklin says hiring The Guardian’s head of fashion Imogen Fox as executive editor has already improved the quality of pitches. She reports both to editorial and commercial to bridge any "tension" and is getting on so well with director of commercial strategy Adam Foley that the duo have dubbed themselves "Foxley". Nicklin is also recruiting a director of client partnerships. Although agency partners describe Nicklin as "so Guardian", he was actually a late convert. His family were Times readers, which his mum attributes to being a descendent of its founder John Walter. Nicklin says he is now one of those people The Guardian can get "to do things". Rachel Forde, managing director at Starcom’s P&G United, concurs, saying: "Hamish’s passion for The Guardian brand and what it stands for shines through every time he smiles." After almost a decade at Google, the ambitious Nicklin only managed five months at AOL before he started talking to Pemsel. Whether he would have got the call without those five months is a moot point. Either way, Nicklin had to spend the first half of 2016 in the garden, which meant a couple of holidays with his wife, Helena, a wine writer and presenter. 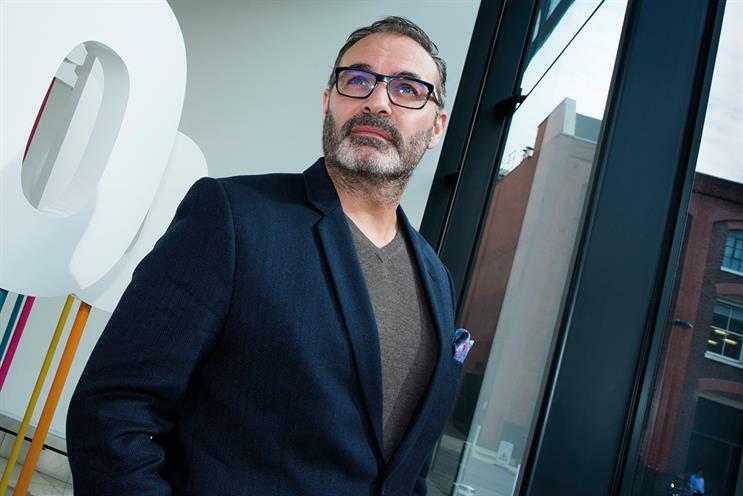 Nicklin’s former boss Mark Howe, managing director, agencies, EMEA at Google, notes that the "big hairy fellow" is "a former white-collar boxer" so "not the sort of fellow you would like to meet on a dark night". Howe adds: "One of his strengths is his positivity, but he’s a big thinker and very creative as well." Frances Ralston-Good, chief executive of Omnicom’s new media agency Hearts & Science, agrees: "Hamish has a very sharp mind and cuts through the irrelevant in a very engaging way." His boss is in no doubt that he’s the one for the job. "Hamish is one of the very best," Pemsel says. "Not only is he passionate about The Guardian but he’s also passionate about just about everything else – from leading people to changing products to changing the world and having a positive effect on the market." agencies. There were talks from journalists such as Sali Hughes and Jonathan Freedland, film screenings and a food laboratory. But it will take more than a night out to lure advertisers back. Nicklin knows this and says he is working very hard with The Guardian’s data and research teams to "consistently prove" that advertising on its platforms works; that it "gets people to do things". Matthew Platts, president of Dentsu Aegis Network’s Amplifi, says Nicklin’s strategy needs that proof. "They’ve got to get clients valuing their messages appearing next to brilliant content," Platts explains. "Publishers need to do a lot of work with their data to prove that value but it’ll pay off if they manage it." to play with. But it’s serious business. The future of The Guardian – and quality online journalism more broadly – depends on someone proving its true value. Nicklin must hope he gets to use his whiteboard eraser before the money runs out.